Once the proteins have been synthesized and the process begins, it is helpful to reactivate the memories at spaced intervals. For example, in learning a new language, it is helpful to review the information learned in class several times in the 24-hour period following the class. The review reactivates and strengthens the synaptic pathway. In addition to alcohol and drugs, there are other things that can interfere with or disrupt the whole process. Poor nutrition can interfere with the process. It has been seen in many studies that children in inner cities who do not get enough to eat on a regular basis have more difficulty learning. 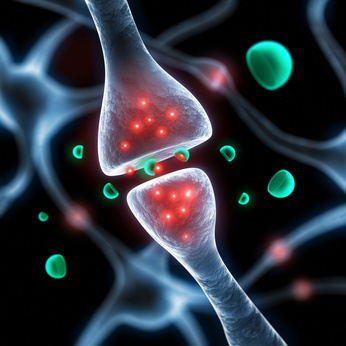 Protein synthesis plays a major role in the consolidation of memories. In order for the body to synthesize proteins for this purpose, adequate amino acids must be present in the bloodstream. Amino acids come from protein-rich foods. The digestive system breaks the proteins down into the component amino acids and the body puts them back together to form new proteins as they are needed. Adequate protein intake can be described as one of the nutritional factors that aids in the consolidation of memories. Other nutrients are also involved in the process, but that’s a subject for another article.